Mobile marketing for Real Estate agents in Nevada is the newest way to get your information out there, without the huge expense of advertisements! Real Estate mobile marketing allows you the freedom to market to your clients no matter where they are AND no matter where you are. You are not going to be stuck in your office all day anymore. Get out there and show more houses and meet more clients face to face. With mobile marketing for Real Estate agents you’re going to have access to all of the information that you need, right from your cell phone! Text message marketing is going to become your favorite mode of advertising. You’re going to be able to invite more clients in a smaller amount of time, and you’ll be able to stand back and watch your open house fill up! Imagine for a moment, your open house not going as planned, and you having a small turn out. You may actually know how this feels. With mobile marketing software, you can access your address book from the house you’re showing and invite everyone you want to right at that very minute. You’re going to immediately notice the benefits of using mobile marketing. If you’re a real estate agent in the Las Vegas Nevada area that isn’t technologically savvy, you have no worries here! Mobile marketing companies will offer you amazing customer service support that will walk you through any issues you may have. They are great at answering questions to help you get all of your marketing needs set up, and if you have any issues in the future, they’ll be there to help you with that, too! Mobile websites and mobile app development is going to also allow you more freedom and more exposure. If you have a mobile website that your clients can go to while on the go, they’re going to be able to access the information that you’re trying to transmit, easier. No one likes waiting for their phones to load websites, with mobile websites, they won’t be stuck waiting all day! Learn more about online mobile app builders and read our Shoutem Review. SMS marketing is the easiest way to reach a multitude of people. All types of companies have started using mobile marketing to fill up their businesses. Restaurants, golf clubs, and even bars are using mobile marketing services to help them keep their business’s profiting. With the economy what it has been lately, Real Estate agents need that extra kick to keep them on top as well; without it costing so much money to get their ideas heard! We also have detailed Tatango Reviews if you want to learn more about sms marketing. Mobile marketing for Real Estate agents in Las Vegas is going to help you keep your name on people’s tongues. The more people talk about you, the more you’re going to get exposure. The more exposure you’re able to get the more money you’ll be able to make. Save yourself time and money and bring in that new business with your new Real Estate mobile marketing. Don’t wait any longer. Give it a try today you won’t regret that you did! There are a large number of Las Vegas mobile marketing companies, but before you decide on a mobile marketing strategy, Sign up for our FREE mobile marketing training below. There is no doubt that mobile phone marketing is the new future of marketing. As a real estate agent in Las Vegas, you need to start to learn more about how these new mobile marketing trends will help your organization. 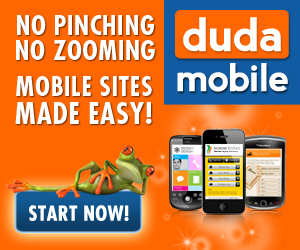 Do you belive that you can take advantage of advertising on mobile phones? If you own a real estate agency in Nevada, take advantage of our FREE VEGAS MOBILE MARKETING TRAINING VIDEOS by Signing up Below! Being a real estate consultant, i would also love to harness mobile marketing. But does outsourcing mobile website development or mobile application development yield the results as we expect. Can outsourcing meet the quality and edge that we need. Neil, Surprisingly enough, there are a lot of local mobile website builders that outsource their work overseas and charge you local rates. The outsourcing website I mentioned in the post allows you to post a job for free and see the applicants portfolios so you can see mobile sites theyve created before you hire them.